MILAN/DETROIT (Reuters) -- CEO Sergio Marchionne's merger of carmakers Fiat and Chrysler will probably entail a U.S. share listing that cements North America as the group's new center of gravity and further sidelines Italy. Two sources close to Fiat said it was likely to move its primary listing to New York as early as 2015 after a merger with Chrysler, heralding a politically delicate shift of focus that reflects the operating facts. Chrysler already made more than half the group's first-half revenue, turning what would have been a 501 million euro ($690 million) loss for Fiat alone into a 435 million euro profit, while Fiat plants in Italy tick along at just 41 percent capacity, according to 2013 estimates from IHS Automotive. A listing move would help Marchionne distance himself from troubles in Europe, where thousands of Fiat's Italian workers are on state-backed temporary lay-off schemes, highlight its gains in the United States and convince a larger pool of investors that the merged company can take the fight to rivals General Motors and Ford Motor. "With a U.S. listing, the whole investment story and the way in which people think about this company may change," said International Strategy and Investment analyst George Galliers. "Today people think of Fiat as a weak European player with a good exposure to South America and exposure to North America through Chrysler," he added. "Once you have a U.S. listing, people are more likely to think of the entity in the same context as they do Ford and GM." While the northern Italian city of Turin has been Fiat's seat for the past 115 years, "the brain and muscles are in the United States; the center of gravity has moved to the other side of the ocean," Luciano Gallino, a sociologist who specializes in labor market changes, was quoted by ANSA news agency as saying. The listing and the likely establishment of a group headquarters outside Italy will alarm some in that country's government and unions who want to protect jobs, but it will delight investors who want cost cuts and closures, observers said. Fresh from negotiating a landmark buyout deal to take full control of Chrysler, Marchionne can now draw on his earlier experience combining the spun-off Fiat Industrial with CNH to create a U.S.-listed manufacturer of agricultural vehicles. CNH Industrial has a primary listing in New York, a secondary one in Milan, is registered in the Netherlands, and has its fiscal domicile in Britain. Fiat declined to comment on what will happen to Fiat-Chrysler after the merger. A shift away from Italy would not be popular to a fragile coalition government desperately trying to protect jobs, but analysts said Rome's hands are tied, with few tools at hand to help revive car sales in Europe. "They will again bark once the news of a listing move to New York is cemented, but ultimately there is little they can do," a Milan-based analyst said. "We are dealing with a difficult market in Europe, especially in Italy, while growth is elsewhere. The government is well aware of that." Fiat and Rome last year pledged to work together to relaunch Italy's recession-hit car market following the government's insistence that Fiat "stay in Italy," even after a merger with Chrysler. Since last week's news politicians and most union leaders have hailed the merger as a boost for Italy, careful not to antagonize the country's largest private-sector employer. They expect the deal to channel investment into Italian factories that will allow Fiat to launch new models into what analysts expect to be a steadying market from 2014. In an interview published in Il Sole 24 Ore on Sunday, Industry Minister Flavio Zanonato said Marchionne had already assured Rome about Fiat's presence in Italy. "In a phone conversation on Thursday, [Marchionne] expressed his intention to keep strong roots in Italy," the minister said. "He confirmed he has in mind a strengthening in our country. 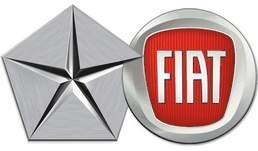 Fiat already has a plan to increase the effort put into new models produced in Italian factories." Zanonato said the merger, which would combine the technology, dealer networks and cash of the two companies, could only be positive for Italy. "How can a country not be satisfied by a deal ... which opens new perspectives in foreign markets? The development of the foreign network is a smart choice," he said. Zanonato said Rome was considering moves to revive Italy's car market, including incentives for alternative-fuel vehicles and fiscal measures to boost exports, but did not elaborate. But some unions and politicians asked for more binding commitments that Fiat would indeed put in the money it has promised to revamp underutilized plants. "Our worry is not that Fiat will stop producing cars in Italy, because they cannot ignore the Italian market," said Federico Bellono, general secretary of the Fiom union's Turin branch. "But we fear that the investments that will be made in Italy will be much lower than one could have expected." Some are skeptical after Fiat scrapped a 2010 plan to invest up to 20 billion euros ($27 billion) to more than double output in Italy after market conditions deteriorated, worrying the same could happen as Fiat's attention drifts elsewhere. The carmaker has repeatedly reassured it does not intend to close factories, unlike mass-market competitors Ford, General Motors and PSA/Peugeot-Citroen. It has also confirmed its intention to build Jeeps and a new line of Alfa Romeos in Italy for export to markets in Asia, Latin America and the United States. Detailed investment plans will be outlined at the end of April, it has said. But analysts said the investments that come through are likely to be in single-digit billion euros, not enough to preserve all jobs. Analysts estimate Fiat would need to triple production of cars in Italy to re-employ all of the thousands of workers still temporarily laid off. Ultimately, the merger will merely emphasize the diminishing stature of the Italian car industry, which in recent years has shrunk to levels last seen in the 1970s, they said. "Italy is already a province in the Fiat empire," Fiom's Bellono said.